UnBarred Brewery started from a tiny kitchen and now brews big beers with massive flavours, to be enjoyed with friends, food and good times. We are always looking to innovate and make delicious new beers that won't be found in the rule-book. We care about giving proper respect and attention to all stages of the craft; from the creation and ingredient-sourcing, to the bespoke brew and finally to our relationships with suppliers and consumers. From ancient, artisanal Belgian ales through to the newest and freshest West Coast IPAs, at UnBarred you will find astonishing new hybrid beer styles that are inspired by the best brews in the world. We love to collaborate with other breweries and make a point of partnering with great pubs and restaurants that share our passion. Get in touch if you'd like to chat to about stocking our beers; we're a friendly bunch. Find out about our current brews and look longingly at our archive of beery goodness. 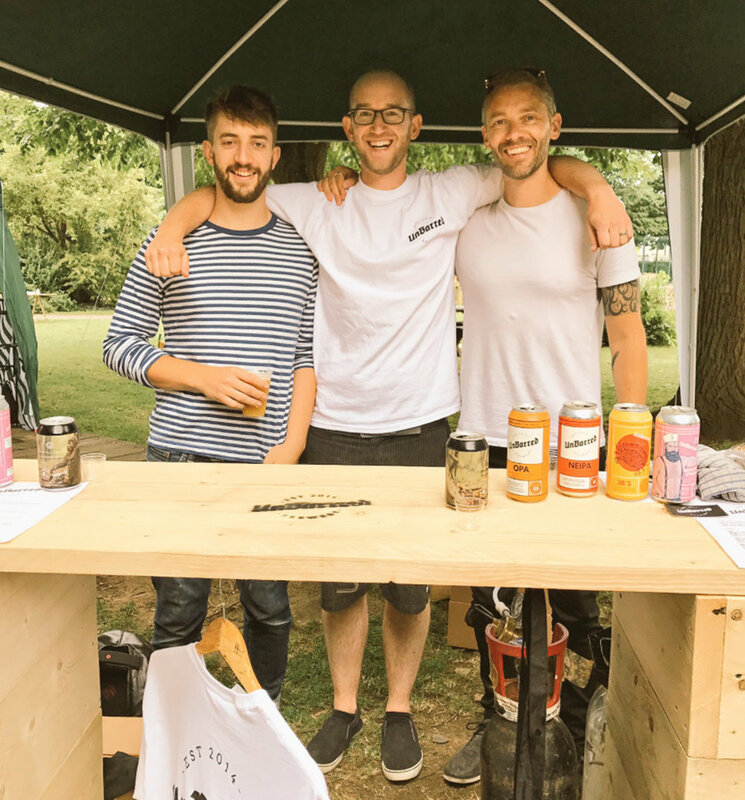 Current news, brews and stories from the UnBarred gang, and updates on our beers out in the real world.